CHICAGO—Illinois taxpayers, hammered by some of the highest state and local taxes in the nation, are increasingly venting their anger and frustration toward the State Senate and House Democrats who hold the state in their death-grip, notes Jim Tobin, President of Taxpayers United of America (TUA). The Chicago Sun-Times reported that taxpayers blasted notorious tax-raiser, State. Sen. Toi Hutchinson (D-40, Chicago Heights), who helped pass the income tax increase in the senate. “You dirt bags stop screwing the taxpayers,” posted one person on Facebook. “How dare you raise my taxes in this corrupt state. You are ruining people’s lives with your tax and spend ways,” wrote another angry taxpayer. CHICAGO — Taxpayers United of America (TUA) today released the results of its 11th Annual Illinois State Pensions Report. This new report analyzes government retiree pensions from Illinois’ General Assembly Retirement System (GARS), Judges’ Retirement System (JRS), Teachers’ Retirement System (TRS), State Universities Retirement System (SURS), State Employees’ Retirement System (SERS), and the Illinois Municipal Retirement Fund (IMRF). Surveying the increasing number of government retirees and the growth of their pensions over the past few decades provides a greater understanding of the financial burden facing Illinois taxpayers. Nearly two years ongoing, Illinois’ current budget crisis is mainly due to the exorbitant costs of the government pension system supported by Democrats and Republicans like Illinois House Speaker Michael Madigan and former Gov. Jim Edgar. Government pension payments now devour billions of tax dollars every year to line the pockets of retired government employees. TUA’s research exposes the magnitude of Illinois’ financial crisis by examining the vast number of retired government employees collecting lavish six-figure annual pensions. 17,000 former government employees each collect annual pensions of at least $100,000, costing taxpayers more than $2 billion this year alone. Taxpayers work longer and receive far less in retirement than government employees, who often retire in their early 50s with taxpayer-funded pensions worth multiple times the annual maximum Social Security retirement benefit for taxpayers, which is $32,000 if working until 66. Based on data collected through Freedom of Information Act (FOIA) requests, TUA’s analysis of Illinois government pensions reveals nearly 100,000 Illinois government retirees now collect annual pensions of $50,000 or more, an increase of more than 7,000 additional government retirees since TUA’s 2016 Annual Illinois State Pensions Report. How much these pensioners paid into their own retirement, in contrast to their generous payouts, is shocking. For many government retirees, within two years they will collect more money in retirement than they contributed to their own pension. These gold-plated government pensions, subsidized by taxpayers, accumulate to multi-million dollar payouts over a natural lifetime. Using this data to calculate the estimated lifetime pension payout totals for these government retirees underscores the ever-increasing liabilities of defined-benefit government pensions. The system is an untenable burden on taxpayers and increasingly consumes billions of tax dollars in the state budget, worsening with every new hire and retiree adding to the cost. The Illinois State Constitution’s pension-protection clause – Article XIII, Section 5 – chains generations of taxpayers to an uncontrolled financial burden foolishly created decades ago by politicians in Springfield. It must be amended for a sustainable financial future. Taxpayers are unable to pay this enormous cost, as the budget crisis clearly shows, and without changes, taxpayers will otherwise continue to leave Illinois by the thousands for states with booming economies, while the tax burden increases for those remaining in Illinois. 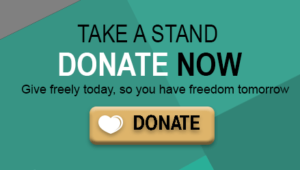 Tax Freedom Day 2017: How Free Are We? Taxpayers won’t pay off this year’s local, state, and federal tax burden totaling $5.1 trillion until April 23, or as the Tax Foundation calls it, Tax Freedom Day. That day, calculated annually, represents how long Americans work to pay local, state, and federal taxes for the year. Americans will collectively pay close to $1 trillion more dollars for taxes than will be spent on essentials like food, clothing, and housing combined. 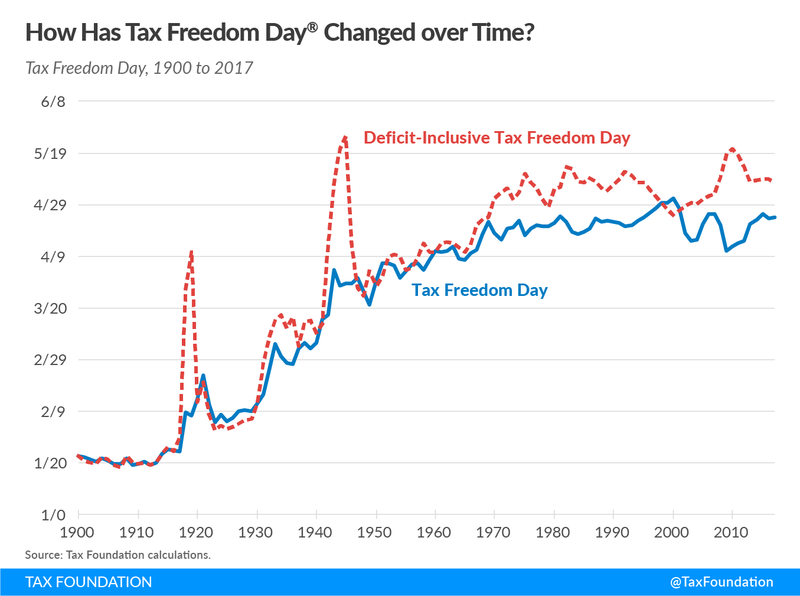 Focusing on Deficit-Inclusive Tax Freedom Day, economic liberty in America shifted abruptly in favor of the government while Woodrow Wilson was president. Wilson ushered in the Revenue Act of 1913 which re-imposed the federal income tax after the ratification of the 16th Amendment, followed soon after by the creation of the Federal Reserve in late 1913, and both led the way for deficit financing that enabled U.S. entry into World War I. After a subsequent reduction in federal tax burdens in the 1920s, the trend began to worsen considerably and hastened in the 1930s. American taxpayers then saw a substantial spike in government spending, deficits, and state power during Franklin Delano Roosevelt’s presidency and World War II. 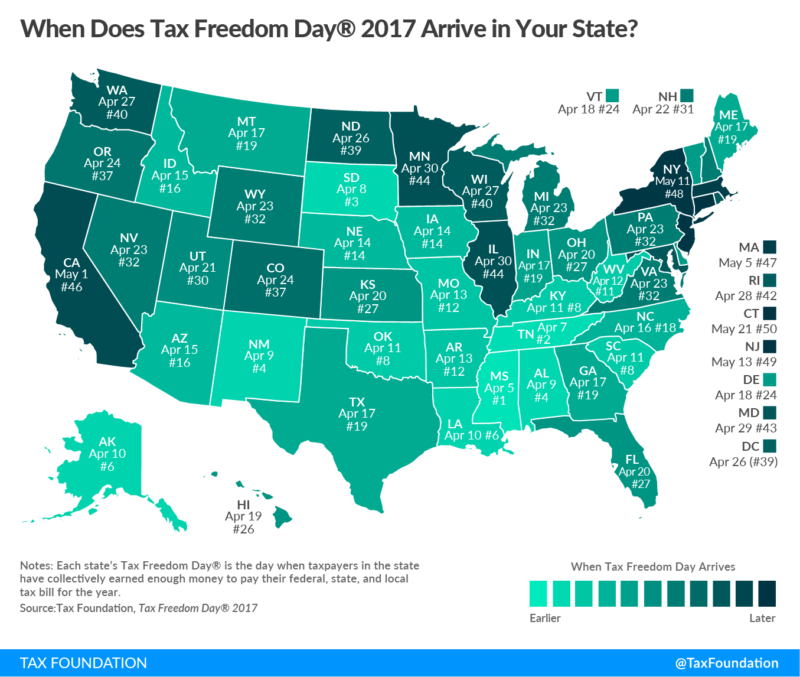 States like Connecticut (May 21, #50), New Jersey (May 13, #49), and New York (May 11, #48) have higher taxes and residents earning higher incomes, so they celebrate Tax Freedom Day later than states like Mississippi (April 5, #1), Tennessee (April 7, #2), and South Dakota (April 8, #3), which bear the lowest tax burdens in 2017. The introduction of the Wilson era federal income tax and the Federal Reserve allowed for expansive government power and deficit financing. This also shifted the primary means of funding the government to income taxes and away from tariffs, as had been the practice. The federal government claims a right to your earnings and livelihood, essentially offering the ultimatum: your money or your life. Sheldon Richman wrote a book by that very title and argues that the income tax must be abolished altogether.